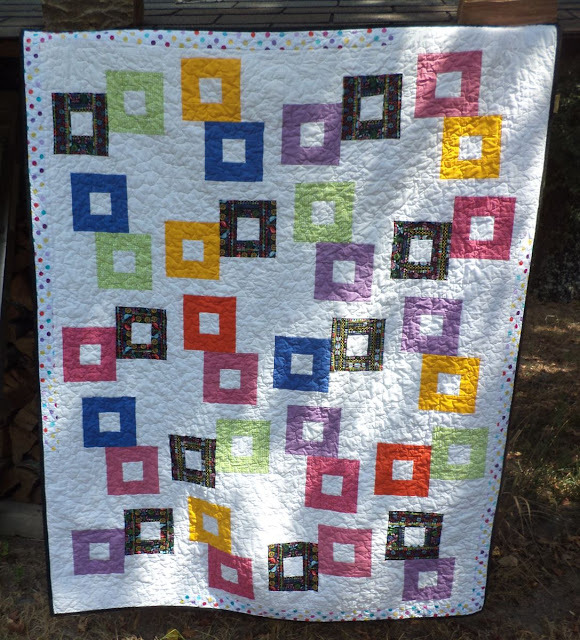 This is another quilt for Covered in Love that was finished from a donation by one of the Tyler Modern Group ladies. Teri gave me this top and it was just a tad small so I added some narrow borders and done! 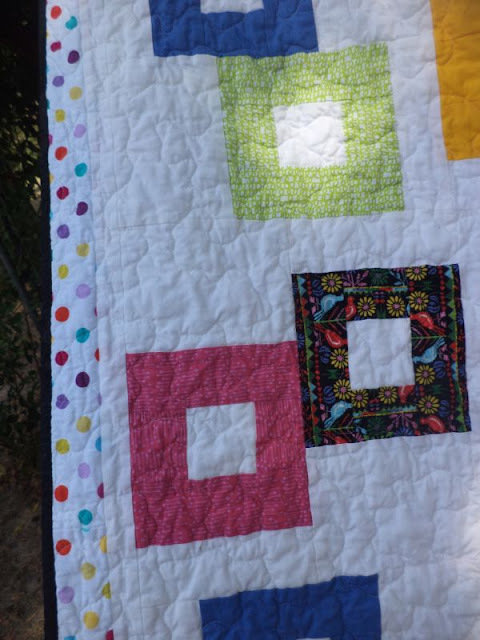 My favorite part of this quilt is the sort of eastern european-style black fabric. I just really like the colors and the interesting pattern. I decided to pull out this fabric by using a black binding. Teri's UFO is now a finished quilt and it will be going to comfort a family who has lost a loved one in the hospital where I work. Thank you to everyone who has donated to Covered in Love, your donations keep this program going! Please comment or email for an address if you would like to contribute. 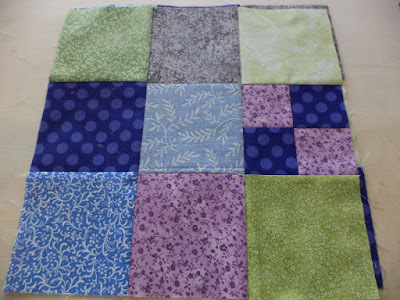 For anyone who would like to make a block or two this month I am collecting patchwork mosaic blocks. The tutorial post is here. 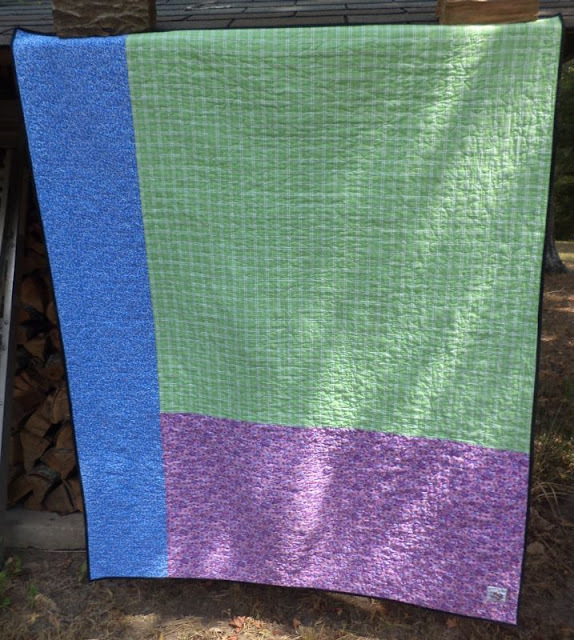 Make one block or ten, every bit helps! Your chain links are beautiful! and what a great program! Love the polka dot borders. Really ties it together!